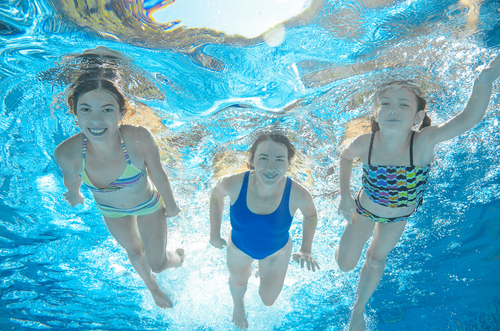 Chlorine removal shampoo is just one of several steps you can take to protect your hair and your family's hair from damage caused by chlorine in the pool. Dry, brittle hair that feels like straw and even color changes can result from the bond that is formed between chlorine and your hair. And then there are those of use who spend lots of money to have our hair colored and highlighted and want to protect our "investment." Don't just rely on a chlorine removal shampoo to keep your hair healthy and hydrated. 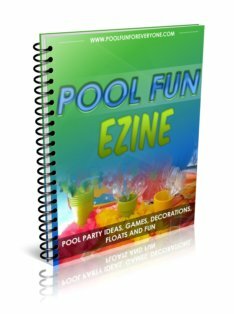 Try using these strategies to minimize the drying effects of chlorine. We have an outdoor shower, so I step into it first and soak my hair. 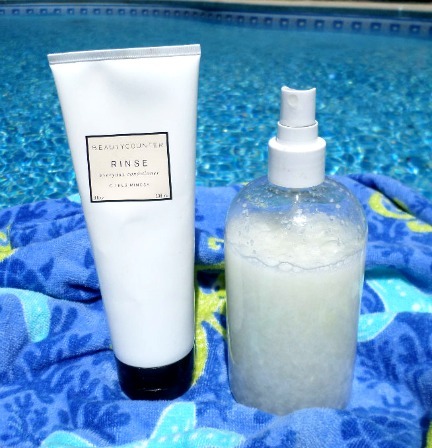 This simple step minimizes how much chlorine is absorbed into your hair. Dry hair will absorb more chlorine and cause more damage leaving your hair feel like straw. After I get my hair wet I add a dab of conditioner and move it through my hair with my fingers or mix water and conditioner in a spray bottle and spray it in and on my wet hair. You can also use products that are specially designed to prevent chlorine damage to your hair like this one by AquaGuard Pre-Swim Hair Conditioner. It's still important to get your hair wet before you apply. Pay special attention to applying to the ends of your hair. Let it sit 3-5 minutes before getting into the pool. This product will help to keep your hair healthy and hydrated and protect it from becoming dry and brittle. 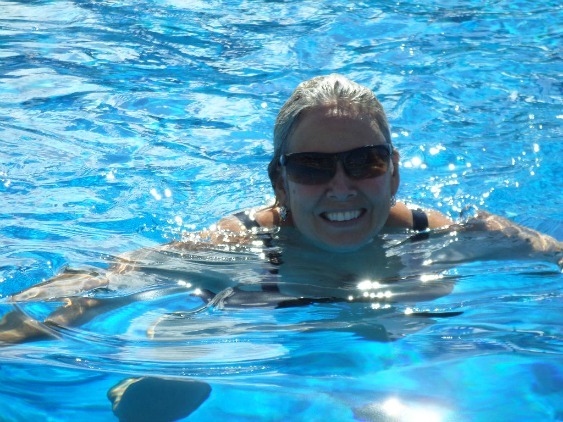 For those who regularly swim laps and and want added hair protection, wear a swim cap. Not sure I know anyone who wears one - but it's an option and a swim cap would help protect your hair. If I've been out of the pool for a while, and my hair has dried, I re-wet my hair with a spray mixture of water and my favorite conditioner. Before going back into the pool I always make sure my hair is wet before re-entering. Using plain water from a shower or hose, rinse out your hair when you get out of the pool. Don't use any shampoo or conditioner yet - just water. After getting out of the pool you don't want to add more chlorine by showering with chlorine treated water. 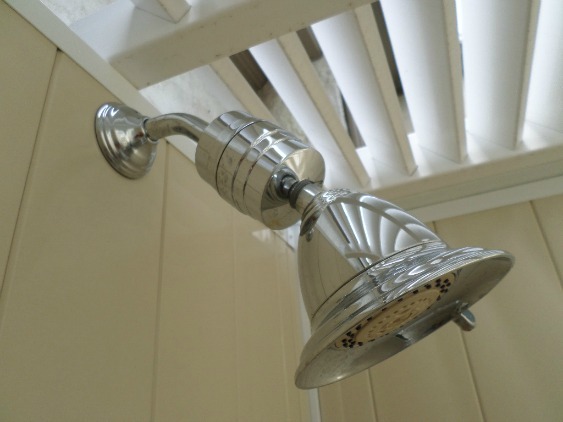 We have added a chlorine filter shower head to our outdoor shower. Use a vitamin C spray and spray it on your hair and skin to deactivate this drying chemical and then use your favorite shampoo and conditioner. 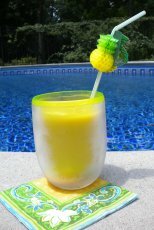 Vitamin C to neutralize chlorine on your body or hair is a safe and natural way to remove chlorine. It keeps your hair from drying out since it's made of 2 ingredients - water and Vitamin C (as Sodium Ascorbate and Ascorbic Acid) it's 100% natural, fragrance-free, sulfate-free and free from artificial colors. Not sure how they measure this, but SwimWay claims that their spray is "400x more effective than" traditional chlorine removal shampoo. Always rinse your hair as soon as possible when leaving the pool and ideally shampoo it to aid in removing the chlorine. If you don't have time to shampoo or you swim at a public pool and want to go home to wash your hair, at least rinse your hair out under the shower to get some of the chlorine out. The sooner you can remove the chlorine the less time it has to dry or damage your hair. However, regular shampoos aren't able to break the chlorine to hair bond. There are shampoos that are specifically formulated to remove chlorine and can effectively to strip away this hair drying and damaging chemical. There are lots of swimmers who like this Paul Mitchell Shampoo Three, Removes Chlorine and Impurities. It is effective in removing chlorine build up and is good for all hair types including color treated hair. Add about a tablespoon of baking soda to a squirt of your favorite shampoo. If it's a little too thick add a little bit of water and work the mixture into your hair and onto your scalp and back of your neck. After you've massage and lathered your hair rinse and then repeat a second time to be sure you're getting out all the chlorine, sunscreen and conditioner you put into your hair previously. 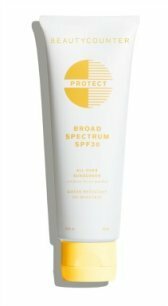 I have transitioned to using safer personal care products and look for shampoos, body washes and lotions that rate a 1 or 2 for safety at ewg.org/skindeep database like these hair care products by Beautycounter. 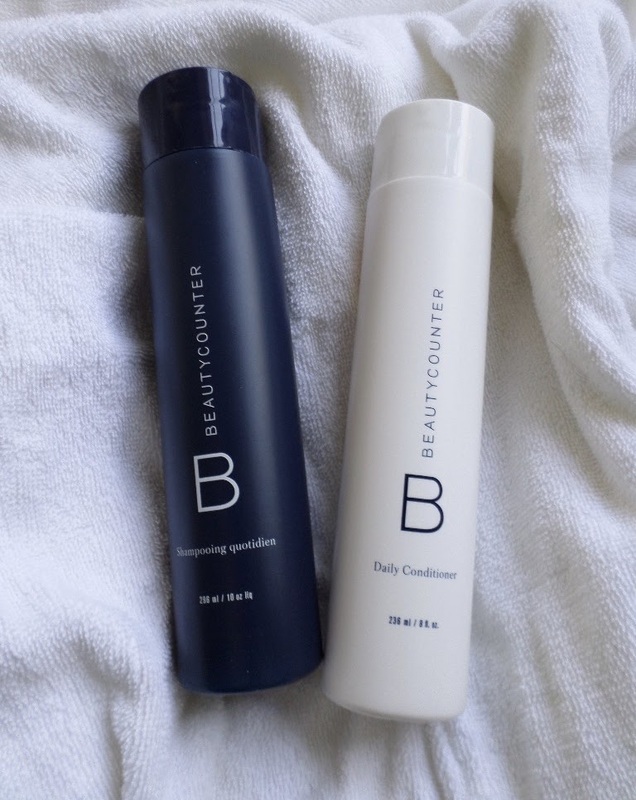 For years I had an itchy scalp which probably was exacerbated by chlorine, but when I switched my shampoo to one that is free of synthetic fragrances and formaldehyde my itchy scalp cleared up in about 3 months - thank you Beautycounter. Not only has my scalp healed, I get hair that is healthy, shiny and full of body. If you add baking soda to your shampoo there's no need to buy special chlorine removal shampoo. Now that I know about these neutralizing, safe vitamin C sprays, I keep one in our outdoor shower and spray it all over my hair and skin after rinsing off with plain water. The spray has really helped to keep my hair and skin from drying out and becoming itchy. 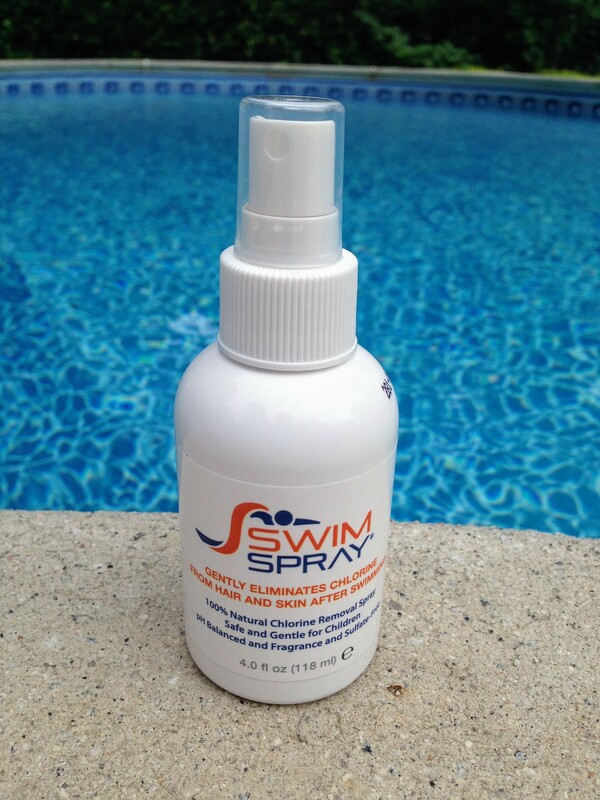 For afternoons by the pool when I am in and out of the water, I don't wait to use the spray. My legs seem to react the most and get itchy when I get out of the pool, so now I spray them right away with the vitamin C spray. It just takes a couple of sprays and the itchiness goes away.